The castellations not only provide superior pressure management and postural support but it's channels are cut to ensure a constant air dispersion occurs around the patient. This process aids in controlling temperature when compared to standard mattresses and therefore endeavours to improve comfort and as such aids the patients ability to sleep well. 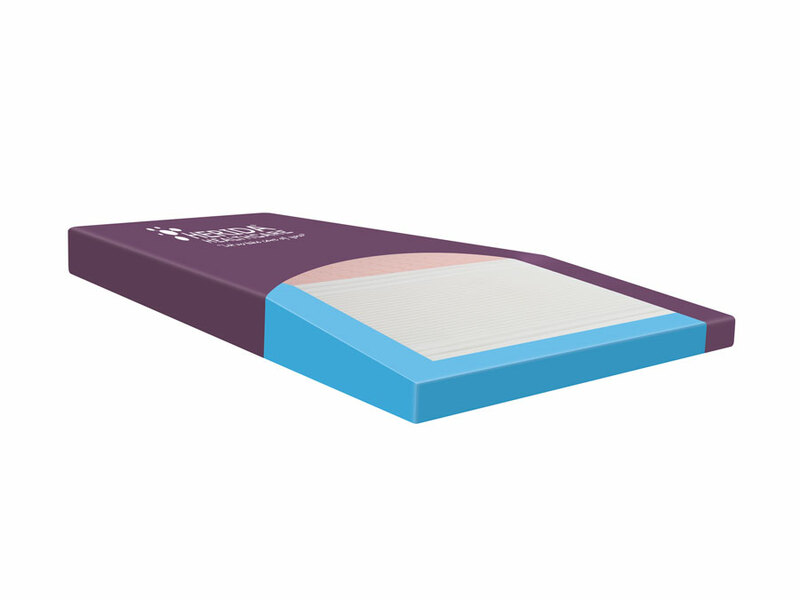 The ultra soft heel section is sloped in order to reduce pressure, whilst an alternative cut (left to right) of visco elastic foam, provides maximum comfort levels. By gently tapering the heel area, pressure is redistributed effectively onto the less vulnerable calf area, thus providing outstanding results.